Since being founded in 1826, NLC has been providing insurance to residents of Southern New England. Through hurricanes and ice storms, fires and thefts, NLC has always been there for its policyholders by providing exceptional claim service when a claim happens. By placing your insurance coverage with NLC, your agent knows that NLC has the experience to provide the appropriate coverage for you at a competitive price. 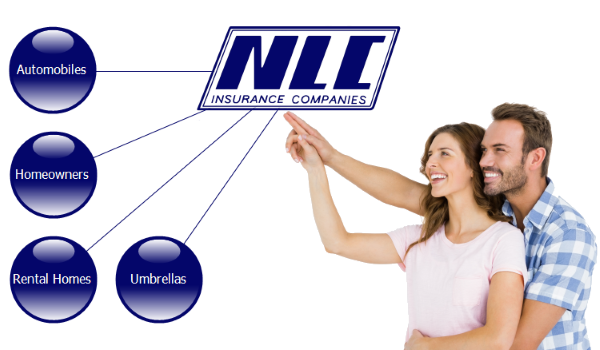 NLC Offers a broad range of personal insurance policies including homeowners, rental houses, automobiles, and umbrella insurance. Premium payments can be budgeted using NLC's installment plans. Claims are handled quickly and fairly by NLC's claim department. Find an agent near you today to learn more about NLC personal insurance coverages.